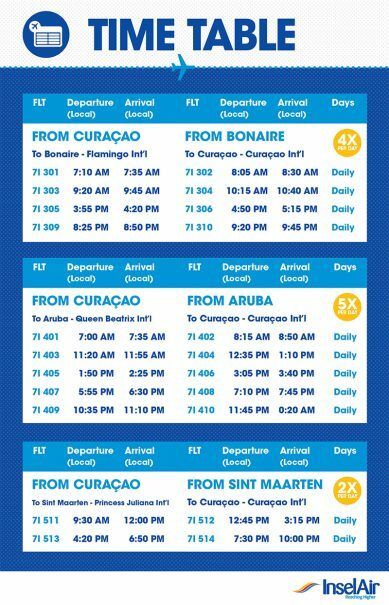 InselAir, a small airline focused on short local flights among the Caribbean islands, has just rolled out a new schedule of inter-island arrivals and departures for Aruba, Bonaire, Curacao and St. Maarten. In 2017, InselAir now offers four flights per day between Bonaire and Curacao, five flights per day between Curacao and Aruba and two flights per day between Curacao and St. Maarten. If you’re interested in extending your vacation by a few days, why not hop a plane to a neighboring island before you head home? Each Caribbean island has its own distinct culture and way of life, which can be a pleasure to discover and explore. Each Divi Resort also has its own personality—if you’ve enjoyed one of them, you might consider learning the Divi way on a new island. Whether you choose Aruba, Bonaire, St. Maarten or one of our others, we can guarantee warm hospitality that’s authentically Caribbean. Bon bini!